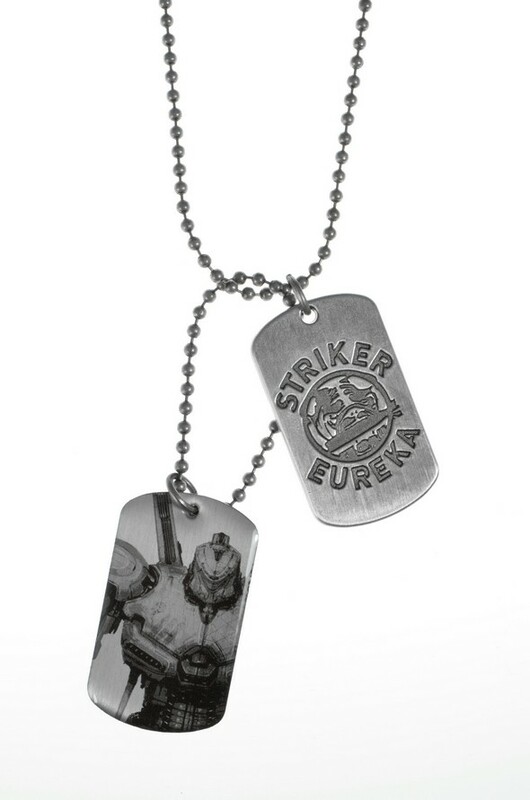 From the epic movie Pacific Rim, these metal dog tags are official issue of the PPDC for Striker Eureka team members! 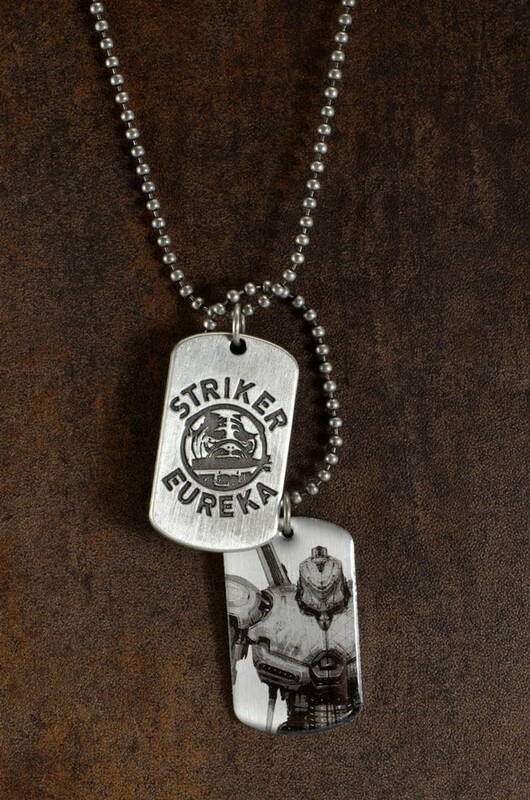 One plate features a print and epoxy diagram of the fastest mech on the planet, and the other is engraved with its name and insignia. The two plates measure about 1×1.5″ each and hang from a 27″ ball chain that’s easy to slip on over your head.